It’s true. I consider myself an above-average blogger. I write posts and come up with blog-centric projects that generate enough buzz to help keep things interesting around here. I also devote lots of time (my CP’s might say too much time) visiting other blogs to be encouraging and reassuring as I can be. And that would be fine and good…if that’s all I was really here for. I’m an aspiring writer…like most of you…and my ultimate goal is to have my books published. I’ve found blogging to be 1) a way to create relationships with other writers for the purpose of observing and being supportive, 2) a technique to build your own presence in the writing (and future consumer) community, and 3) a venue for keeping those writing muscles limber. Sometimes it’s easy to forget all of that and lose ourselves in the fun and games we enjoy out here. I’ve done that several times in the past, suddenly considering blogging a distraction and needing to step back from the table in order to re-focus on my real objective. No…that is not the point of this post (balance is the key). Today I’m more interested in what happens…after. 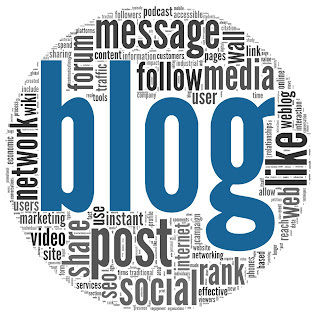 There are those who believe that blogging is a means to an end and once that end is achieved, it becomes a means for staying connected to your fans. Others who make that successful leap to the publishing world continue to use it as a way to “pay it forward”. I’ve followed blogs that go in the other direction; either disappearing completely or changing into a promotional depot after the blogger achieves a measure of success. I’m not here to pass judgment on any of their actions, to each their own, but it does make me wonder what I’ll do when that milestone arrives for me. I suspect that once I’m published I’ll have to cut-back -- imposed deadlines can have that affect -- but I’m pretty certain the content won’t change much. Certainly I’ll post more “instructional” material, that comes with attaining a modicum of credibility from being published, but other than that I’ll still be who I’ve always been. Who that is will depend on the direction the wind is blowing that day, but that is who I am now. Yes…I give good blog. But just so we’re clear, I’m not satisfied being a good blog writer…I want to be a good writer who blogs. What about you? When your books start flying off the shelf, what will your blog look like? LOL. My books aren't "flying off the shelf," but I did cut back my blogging to 2x per week. I think the content is the same as before: I mostly talk about writing, with a little bit about teaching and family life mixed in. I don't want a blog that's all about promotion -- not of my books or anyone else's -- although I sometimes interview authors who have a book coming out. I like to ask them about their writing habits, though. I agree with you on all counts. Being a published author I use my blog as a promotion medium, a how to, connect with readers and writers alike, and just because. I have found that I am blogging more even with looming deadlines because writing is a journey that I document each and every time. Interesting because I've been wondering about this too. I hope that my style and format won't change much, but since I just make it up as I go I can't necessarily promise consistency now, let alone at a unknown future point. I guess as long as I continue to be me that will be enough. I see many published authors disappearing too much and they lose their following. I do think it's important to balance and blogging twice a week like Dianne makes sense. And you may not be able to visit as many blogs anymore. But I think it's a mistake to work so hard to get a following and then abandon it. What does that say about a writer's platform? Blogging is definitely a way to build one's platform. It's also a way to improve craft and technique, and gain street smarts in the publishing business. Although my debut novel should be out within a year, blogging began to change for me once I started freelancing and getting short stories accepted for publication. I think it was my view of what writing meant to me that changed. I saw that I could actually do this and needed to readjust my focus. However, I think Natalie hit upon an important point. If, as writers, we're going to use this arena to help build our audience and platform then we can't simply abandon it once we've reached some sort of writing success. It's all about balance. I have not lost steam at all since my first book was published - in fact, I've become even more involved. I have seen those who fade once they hit that success or the blog becomes an ad site for the next book. I didn't want to do that. It's difficult to do it all, and I don't recommend anyone tries to do what I do, but it is possible to maintain both sides. I never intended to become an author and that I'm about to see the release of my third book is just a fluke to me. I'm here for the 'platform' but I've found the paying it forward aspect a lot more fun. I hope that I can continue to do that for a long time to come. I hope to keep helping other authors with my blog, so hopefully that will never change. I agree, Susanne. I hope that my blogs are informative and interesting for my readers. The reason I decided to write children's books was to make a positive difference to them so that's my ultimate goal. I've seen many author's blogs transform throughout the years. I know that once you're on deadline, other things tend to take a back seat. I hope to continue supporting others and try my best to stay apart of the blogging community. I've grown fond of too many blogging friends. I had two poetry book published but I suspect writing poetry and a novel is very much different. Apart from have to make corrections and more readings, it didn't make much difference to my blog. Though I have had more trouble since changing to chrome than having my 2 books published. I enjoy blogging and can't imagine giving it up once I'm published. Maybe cut back a day like Dianne said but I think giving back is important, too. My blog stayed the same after I published my memoir. I enjoy blogging as long as I don't overwhelm myself with it and I love the connections I've made and continue to make. This is a very interesting matter that I'm actually still chewing. Sometimes I think I want to be published, but sometimes I think I don't want to. Some days I feel I am happy with just being a blog writer. I enjoy writing my stories but I am not fully convinced those stories should really go out to the world. So for me, the question is not about the blog. The question is still in the air about the publishing. I actually came here after being published - when my publisher said "What! You don't have a blog?!?" So I guess you can see what my place is like post-publication. Post best-selling author, I have no idea what it would look like...but I'd sure like to find out. I'm glad to know that you don't see yourself leaving, because if people like you, Alex, Michael D. & Arlee were to close your blogs, things just wouldn't be the same around here. Ha ha, Don! Yes, you do give good blog! I've learned a lot from you this past year and wish I'd followed you earlier. One can only dream about books flying off the shelf. I just started querying for the first time, but I've been writing seriously since 2007 and blogging since August 2009. I'm sure you'll get there much sooner than I will. Worlds. Worst. Blogger. Blogging is more boring than waiting for the latest book in a poorly written series. I wish the best of luck to you, Don. Passions can sway when it seems our goals are out of reach for too long. I've always wanted to get pen to paper and write that "epic" story. But more times than not my dream of becoming a legit, published author seem so out of reach. Blogging ALWAYS gives me that instant gratification however and that's what keeps me going. Balance is important. I burnt myself out a couple years ago after spending so much time online promoting my books. By the sixth one, I was just spent. Now that I've eased back into it over the past year, I remember why I enjoy it so much. "I’m not satisfied being a good blog writer…I want to be a good writer who blogs." AMEN!!! I've begun focusing less on my blogs and putting more time into my actual writing. Blogging is a great way to network and get yourself out there, but in the end my #1 will always be my actual books. I'll let you know if I ever get to the point of my work 'flying off the shelves!' I enjoy blogging and connecting with people so much. I can't imagine giving it up although sometimes I think we all need a little break away so we can come back refreshed and with stuff to talk about. I'm taking a back seat for a couple of weeks in April as I'm not doing A-Z, hopefully I'll feel inspired to do some work on my manuscript. I have not books published; but I've been blogging about 4 years now and I'm ready for more than just a month long hiatus. I need to write something of my own and can't do it if I keep picking up critiquing projects and hosting blog tours and interviews and less frequent now because I have no time to read, writing reviews. I think once I have writing projects actually out there on submission, or even the miracle of publication, I expect I'll still do the same blogging things with occasional breaks to focus on writing. Probably do less beta reading though. hmm I guess for me it's getting better. Improving by the challenges out there / hanging out with some very talented writers. 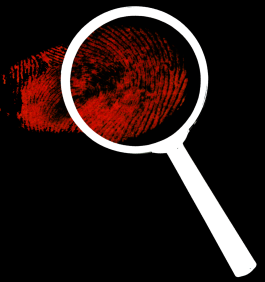 I think it's important for published authors to keep up their blogs, because it shows they're concerned about what's happening in the writing world as a whole and not just focused solely on their own work. The saying "Don't forget where you came from" seems to apply here. Reaching that goal of publication doesn't mean you should become insular and forget about all the connections you made along the way or forget to make new connections. Great post! Well, I've yet to get a book ON a shelf so we're talking theory here. I'm hoping the whole getting published experience will give be new insights to blog about so that will be a change, but I fervently hope I don't end up sounding like a used car salesman, turning my blog into a gimmick to sell books. Or even used cars. I'm right there with you. I'm hoping if I make it big, I can maintain my blog since my writing is really just an extension of my blogging - unlike fiction writers. Not sure if that will translate well in reality! But unfortunately it's not anything I need to "worry" about any time soon! I have often considered quitting my blog but I couldn't imagine my life after blogging. I really enjoy reading other people's post (sometimes more than I enjoy writing posts) and it encourages me to keep writing. I also like to be informed as to what's going on in the writing world. Besides, even if someday I get famous, I should support those starting out. My blogs will continue, hopefully getting even better with time. I enjoy creating web pages. This includes on my sites. Preparing for this A - Z hasn't left much time for making site pages, but I truly needed to devote time to my blog posts. I believe the time taken from preparing A - Z posts will go into adding to my websites, so I don't anticipate too many changes on my blogs. You're right, DL, you give good blog. I'd like to think my blog wouldn't change much. I definitely don't want to become so self-absorbed that all I blog about is my book, me, me, me, my book, ad nauseum. Probably more of the same, although I will probably scale back on posting a little bit. My parole officer said it would be good for me, so I could write the judge and tells him I'm learnt a lot of skells that can be help down the highway. I'm an irregular blogger already, so I don't think my posting schedule (haha, such as it is) will change except to maybe improve in consistency. I don't think my content would change much either. I might add some new topics, but my theme will still be about my love for spec fic. My favorite published authors who are on my blogroll will sometimes cut back on their frequency when some deadline is looming, but then when it's passed, they've picked back up again. They are dedicated to their fans. I love that about them. That's what I want to be like. Ha, ha, ha; I can't even imagine. I don't think I would go in for giving advice. YIKES! Doubt I would want to talk any more about me. Maybe I would talk about the people I meet along the way. Maybe not. Maybe I would at least figure out where the commas go. Glad to hear that you wouldn't change. I would miss you, if you suddenly became something or someone else. 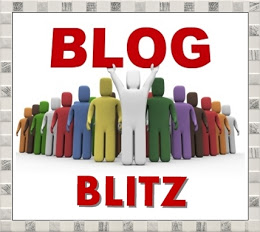 I signed up for the A-Z chalenge and I'm blog hopping early to get a headstart. When that day comes and I am published, I'll be so excited I'm sure no one could shut me up. I've found blogging really exciting, and even if not very many people are reading what I write yet it feels great to get up and HOWL (my term for blogging at 5 a.m). A good writer who blogs---yep that about sums it up for me too! This is a great topic, and I'm not sure anyone can answer truthfully til it happens. I like to think of myself as a writer who blogs, but since my books are nowhere to be read yet, I'm more of a blogger who writes. What I've learned so far tho, is that blog readers don't just want info--they want the real personality behind the blogger/writer, and if a successful author isn't doing that, really no point in blogging. A fascinating posting. Although I do wonder what you consider to be an average blog. I do know that you share the ethos of a blogging community that rejoices in the diversity. All different and all equal. Blogging and writing. A balance indeed. Blogging, to me and my human, is an email to the world. 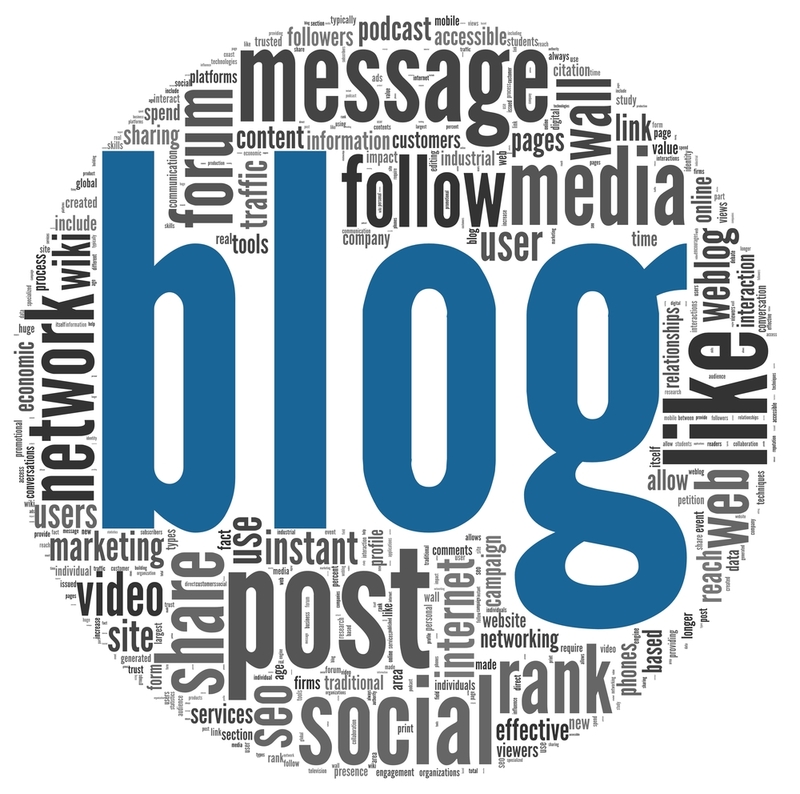 We blog to share, to learn and it's a cathartic, therapeutic resource. I do know that I'm having to reconsider the time frame on my site. You see, my human and I respond back to each individual comment. An intimate rapport that I know folks appreciate. Yet doing that can take several hours. Then, after doing that, I make the blogging rounds. Before you know it, a whole day has past. So yes, blogging, writing aspirations, is a balance. Working through goals by focusing on small workable goals to reach the desired outcome. And in the spirit of blogging and altruism, I shall now share you excellent, thoughtful posting via the various social networks. I'm sure I'll have to cut back once published, but I hope to never turn into a self promotion douche. You DO give good blog. :) I've been worn out this month and my blog has suffered. Work and personal travel has taken all my free minutes. I plan to get back to normal with A to Z.
i know what you mean! i've already cut back. but i still want to be a part. question is, will bloggers still want to hear from me? it's like when you get married, you hang out with other married couples, then when you have kids, you hang out with other families... i wont ditch anyone, but the needs change, you know? I've pondered that question a few times. What will my blog be like once I'm published? I'd like to think it will be much the same. As it is, I went down to only blogging twice per week. I still want to support other writers and bloggers. But who knows what will happen? DL, you do give good blog. I try not to think about the future of "getting published." One step at a time. Next step--A finished MS.